Starting from the premise that religion is a human endeavour which can be analysed and compared across time and cultures, What is Religion? brings the most up-to-date scholarship to bear on humankind’s most enduring creation. Religious belief is one of the most pervasive and ubiquitous characteristics of human society. Religion has influenced human lives since prehistoric times, shaping the world views of cultures from isolated tribes to vast empires. The book opens with a brief history of the idea of religion, then divides the study of religion into four essential topics – types, representations, practices and institutions – and concludes with a final, eye-opening chapter on religion today. Packed with case studies from a wide range of religions, past and present, What is Religion? offers a very current, comprehensive, yet intellectually challenging overview of the history, theories, practices and study of religion. 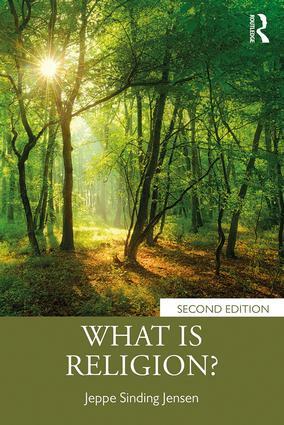 Thoroughly updated throughout, this second edition provides an accessible, wide-ranging, engaging and concise book for undergraduate students in the study of religion. It is also invaluable for students of anthropology, history, psychology, sociology and theology as well as anyone interested in how and why humans came and continue to be religious. Preface: What is this thing called religion? 5 Religious practices and behaviours, also known as "ritual"
Jeppe Sinding Jensen is Interacting Minds Centre research associate and emeritus Associate Professor in the Department of the Study of Religion, Aarhus University, Denmark. Trained in Arabic and Islamic culture, history of religions and philosophy, his work now focuses on theory and method in the study of religion.